Elite Service Centre | The best place in Southern Africa for Genuine KIRBY vacuum cleaner bags, parts and supplies. 2. How to use the belt lifter. 3. How to change the belt. 4. When should I replace my Kirby belt? 5. How to find my KIRBY's serial number. 6. Why does my KIRBY brush belt keeps snapping? 7. How to attach the hose? 8. How to attach the Shanpoo System? 9. Which Bag fits my Kirby! 11. My Kirby vacuum has lost most of it's suction! 10. How to extend the life of your Kirby. Elite Service Centre is the best place in Southern Africa for your KIRBY needs. At the Elite Service Centre you are guaranteed that all replacement bags and belts through to shampoo and specialist stain removers are of the highest quality. We also service and repair KIRBY Home-Care systems. Elite Service Centre carry a complete line of Kirby vacuum bags, replacement parts, and cleaning products. We service and repair KIRBY Home-Care systems and offer a ONE year warranty on all our workmanship. We Stock genuine parts and offer a free collection and delivery service in the greater Durban area. Trap It! Vacuum and trap dust irritants in a MicroAllergen Reduction Filter Bag. • 2 packs, 6 packs and 9 packs available. Common house dust is more disgusting than you think. Depending on where you live, it can contain a microscopic concoction of pet dander, pollen, mold spores, fungus, bacteria, bits of rotted plants and dead insects. But that's not all. It can also contain millions of dust mites whose waste is a leading trigger of asthma, eczema and allergic inflammations. 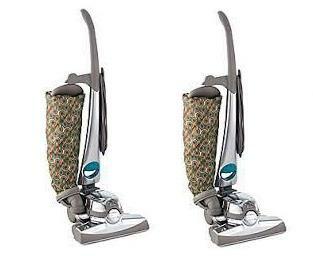 Many vacuum cleaners do not filter fine dust effectively. Some adequately pull small particles out of your carpeting and bedding. But, their filter systems are so porous that microscopic particles pass through the cleaner and are expelled back into the air you breathe! Reduce your exposure to indoor allergens using Kirby Allergen reduction filter bags, specially formulated carpet shampoo, carpet protector, and Allergen control spray. Use of our Allergen Reduction Products will greatly reduce your exposure to indoor allergens resulting in a safer and happier home. 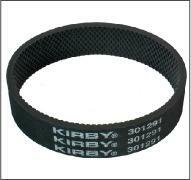 Protect your investment and keep your Kirby system operating at peak performance by regularly changing your filter bags and belts and by sending your Kirby in for regular check-ups and services. Need to service your KIRBY? Collect & Return Service: FREE pickup and delivery! Call to Enquire! Monday – Friday 9am – 2pm. Collect & Return Service: FREE pickup and delivery! Call to Enquire! Monday – Friday 9am – 2pm.